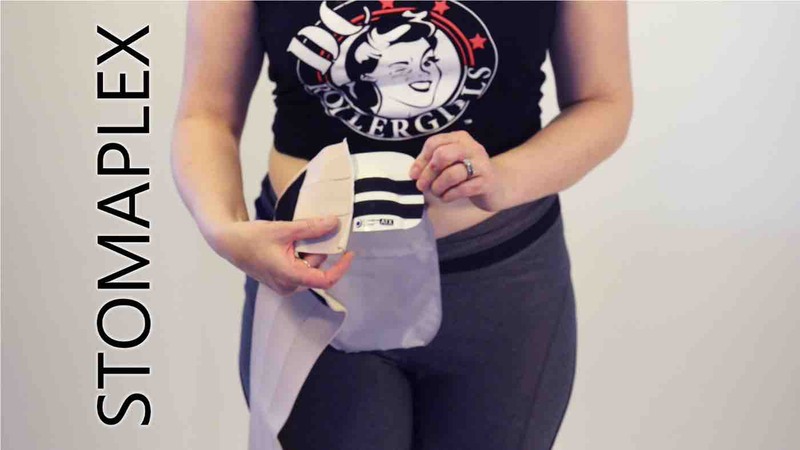 Christy's stoma guard review of the Stomaplex guard after skating in a roller derby bout with the DC Demoncats. 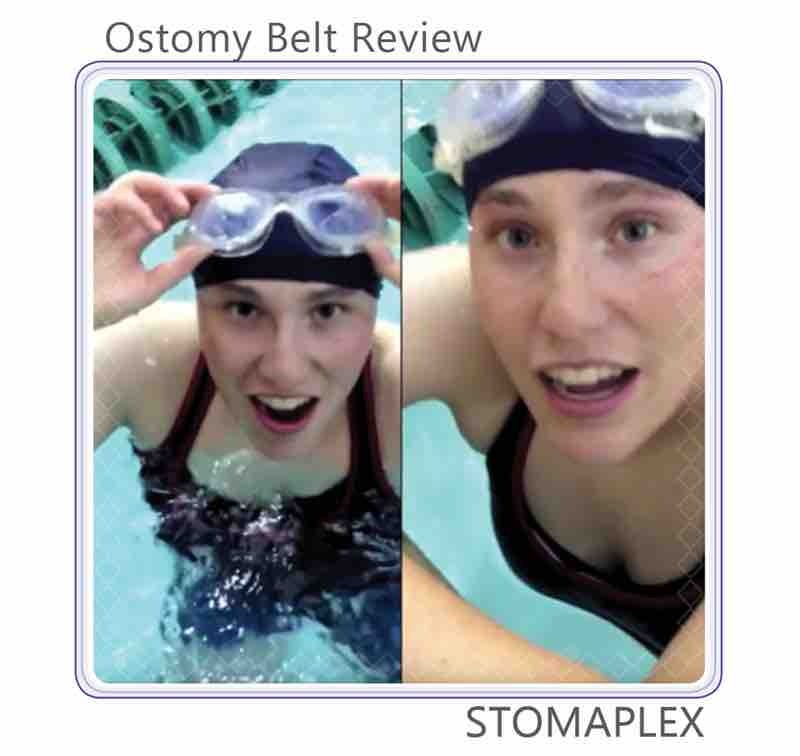 The Stomaplex belt protected her ileostomy during full contact ostomy sports. 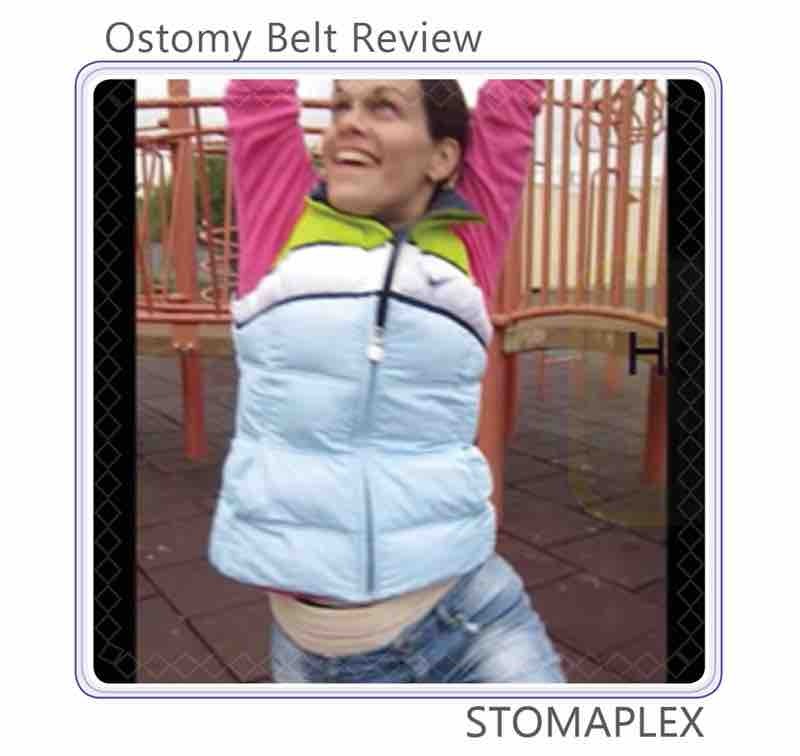 She loves the ostomy sports belt by Stomaplex. 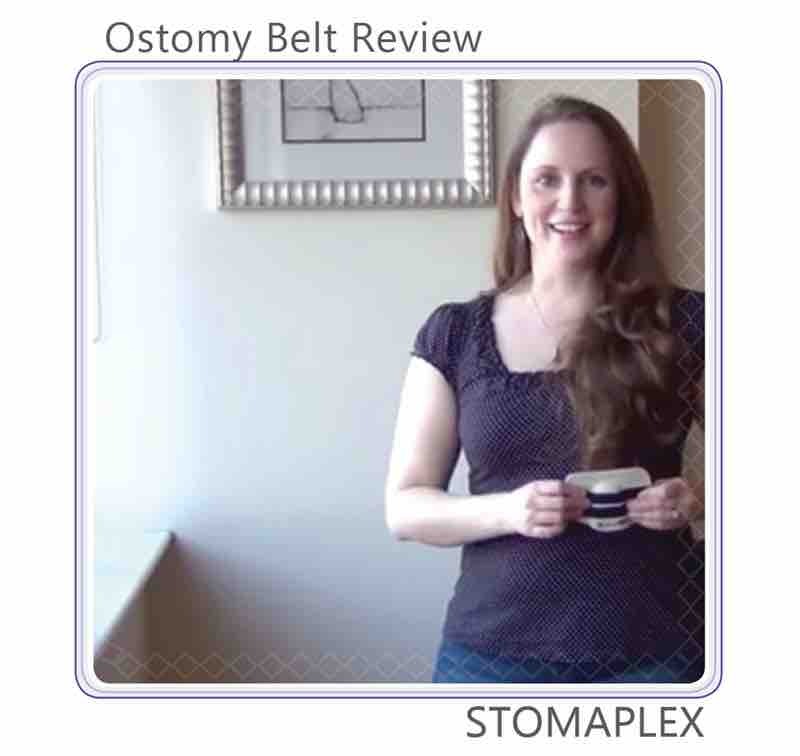 Christy, does an ostomy clothing review of the guard and belt from Stomaplex. 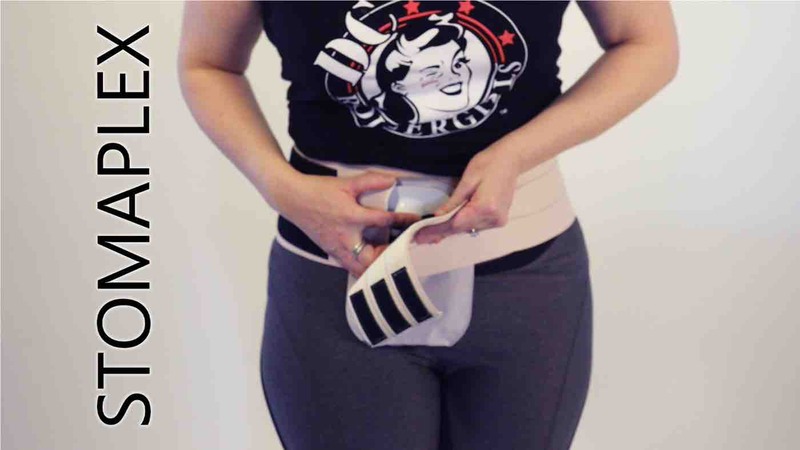 She'll explain what to expect when you receive the package and she'll show you how to put the belt on. 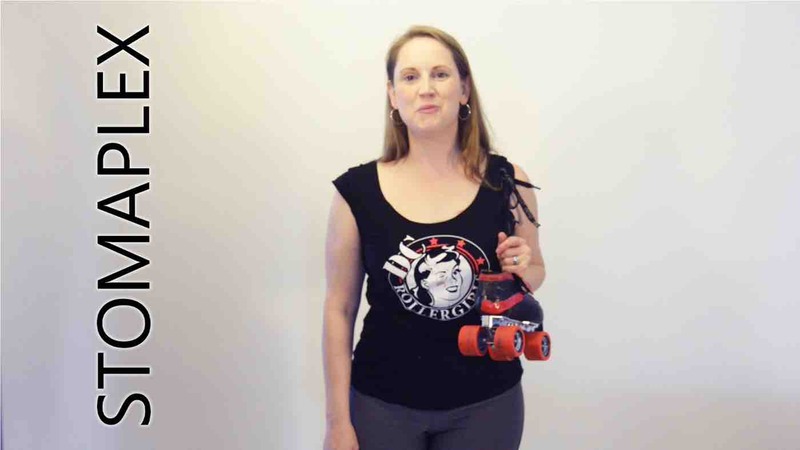 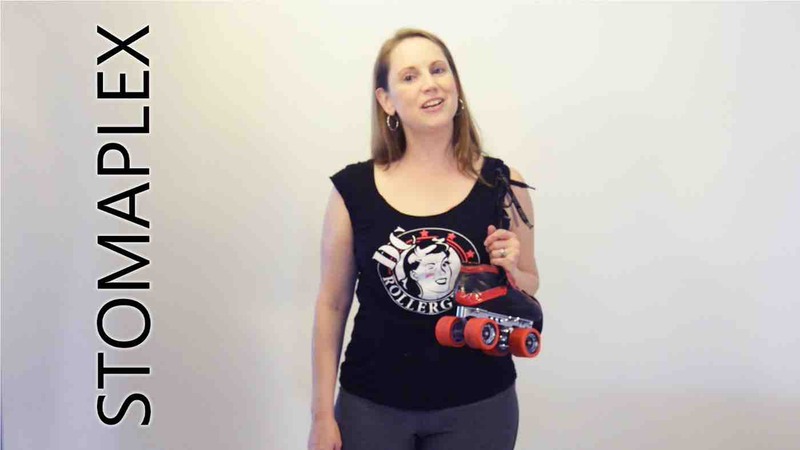 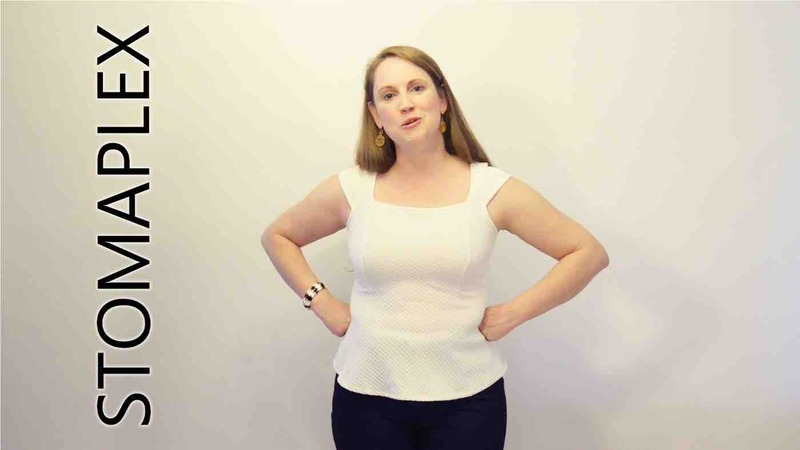 Most importantly, Christy demonstrates how to wear the protector and feel confident and safe. 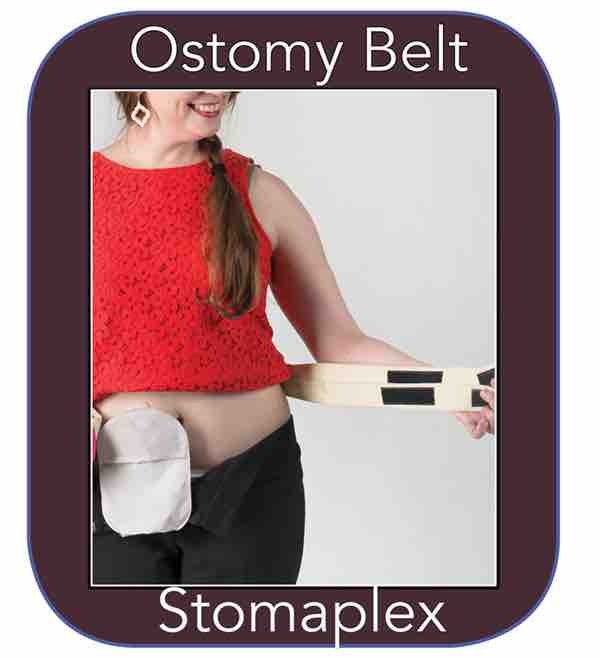 You'll never know that she is wearing a Stomaplex belt. 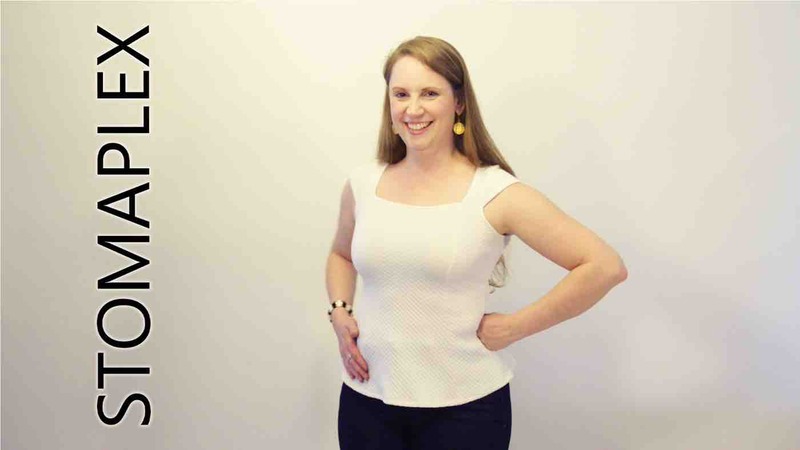 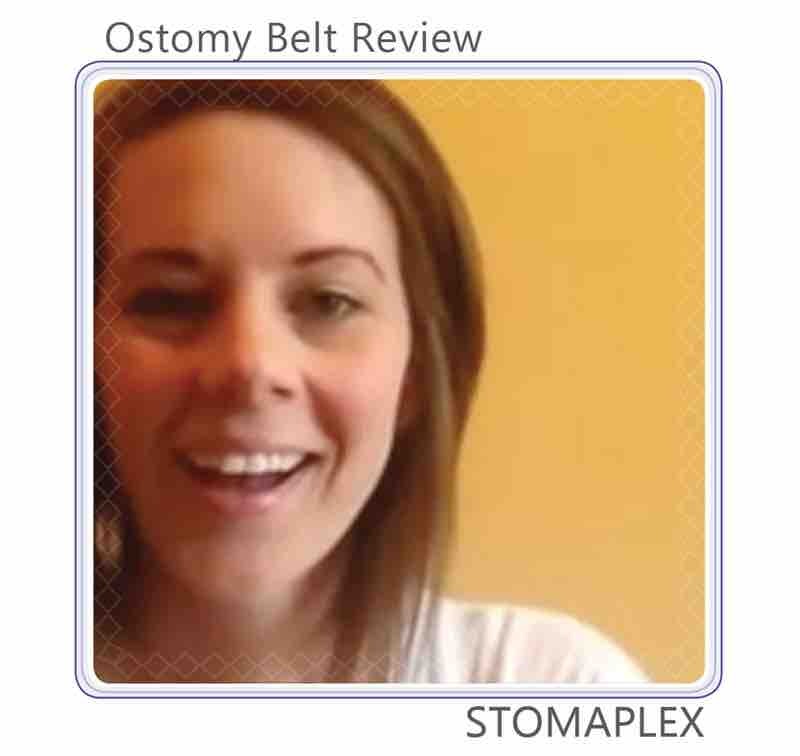 Jenna, a mother, is happy to have a guard with parastomal hernia support. 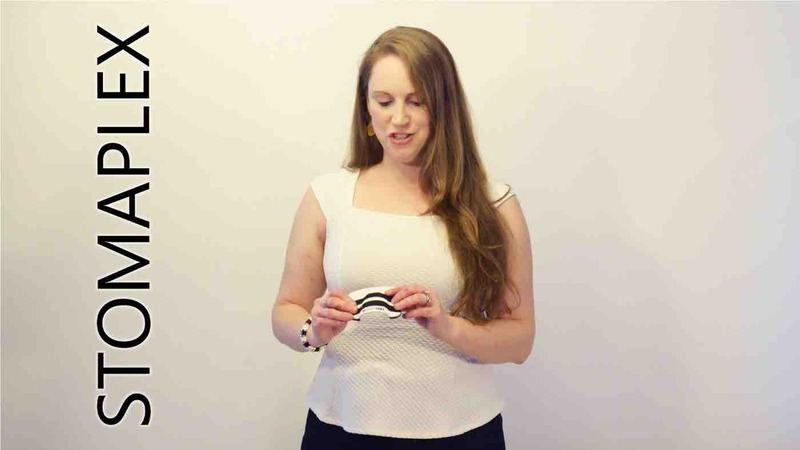 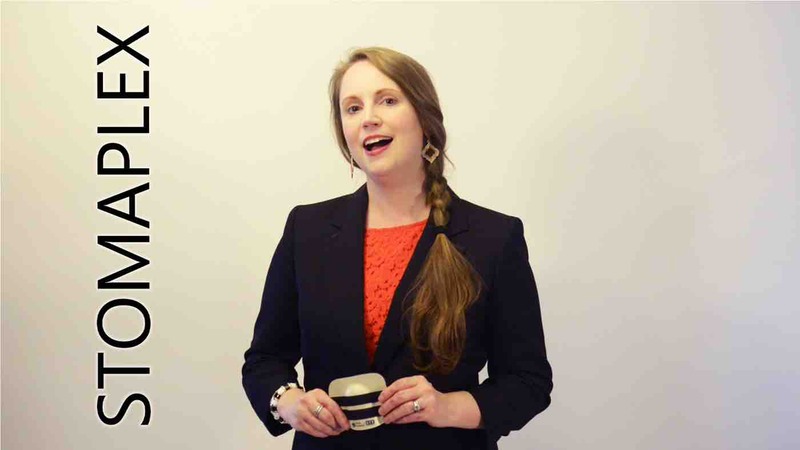 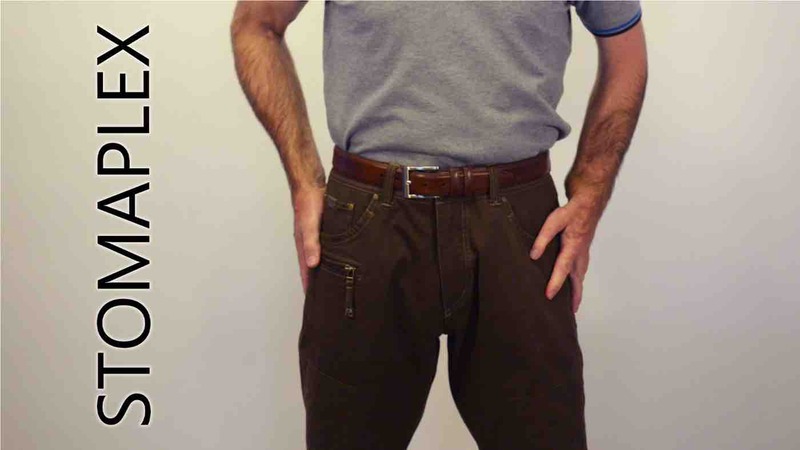 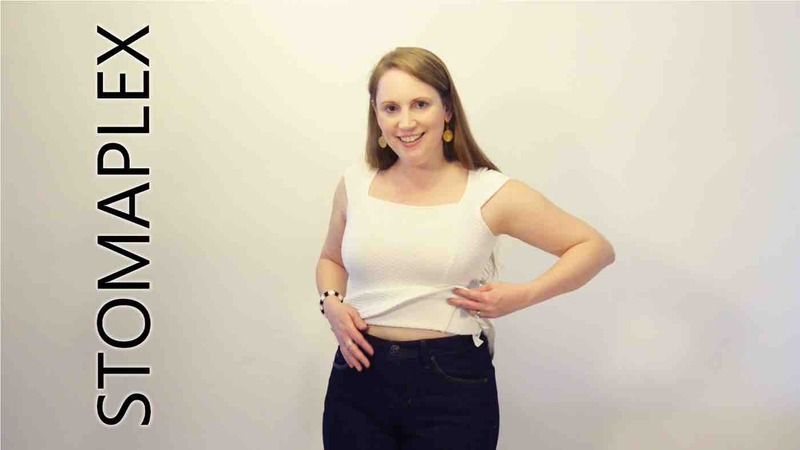 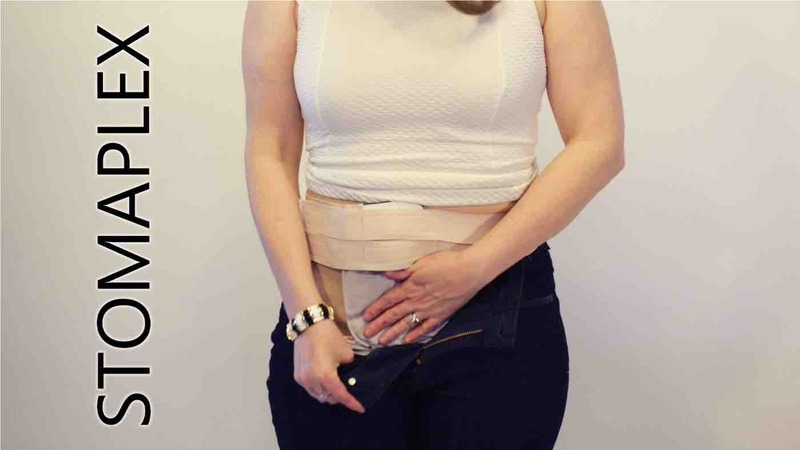 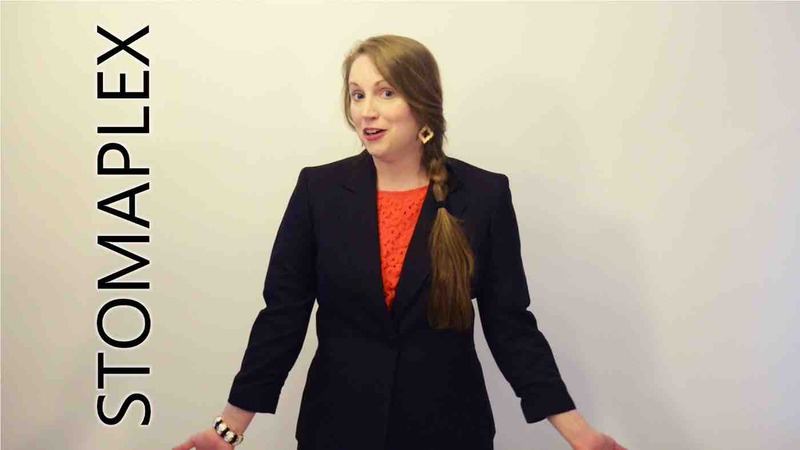 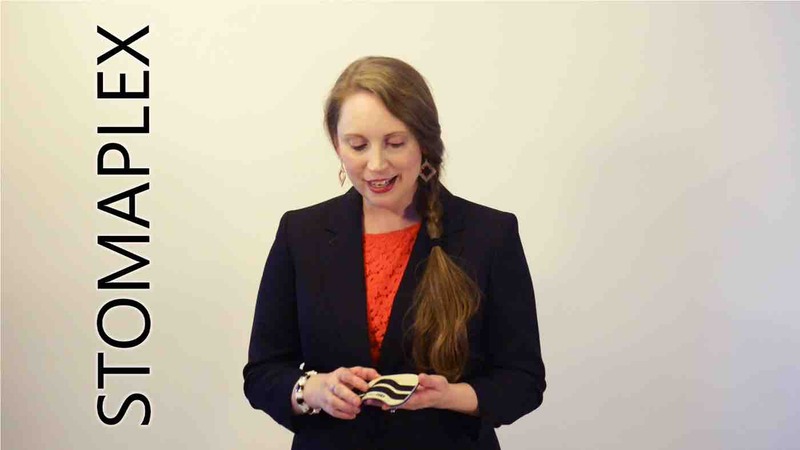 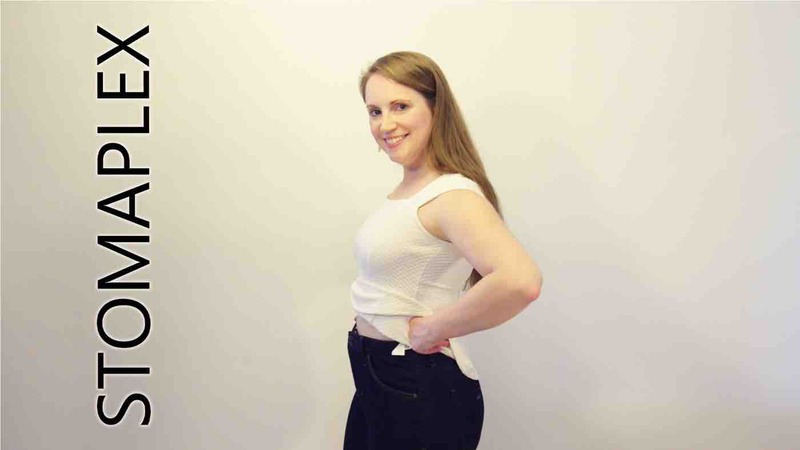 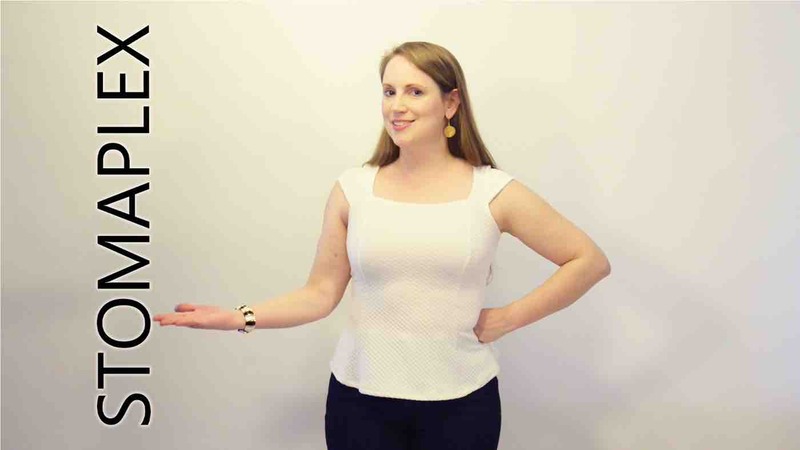 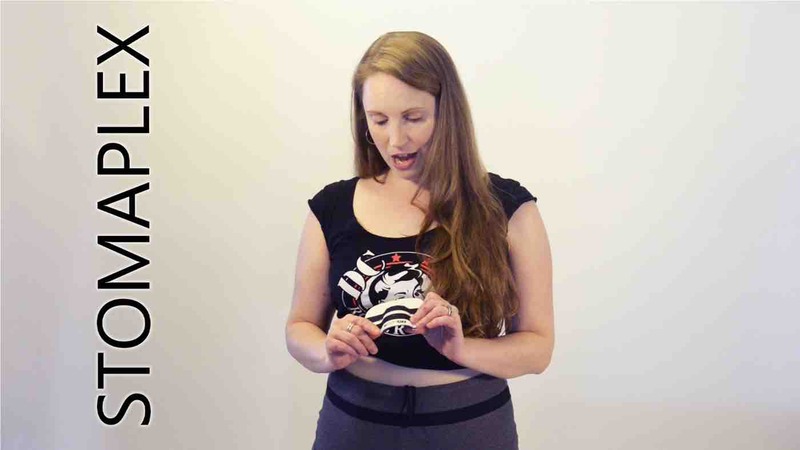 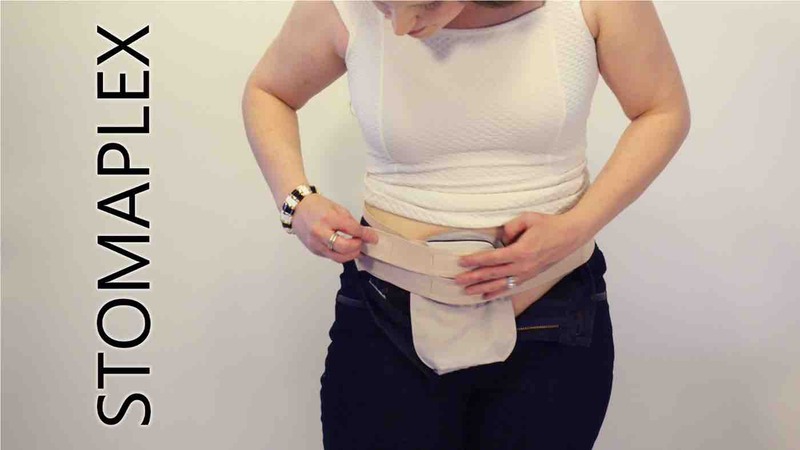 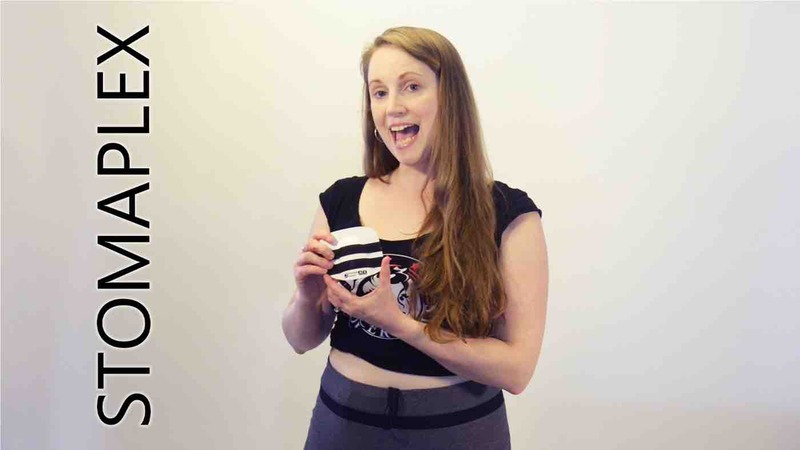 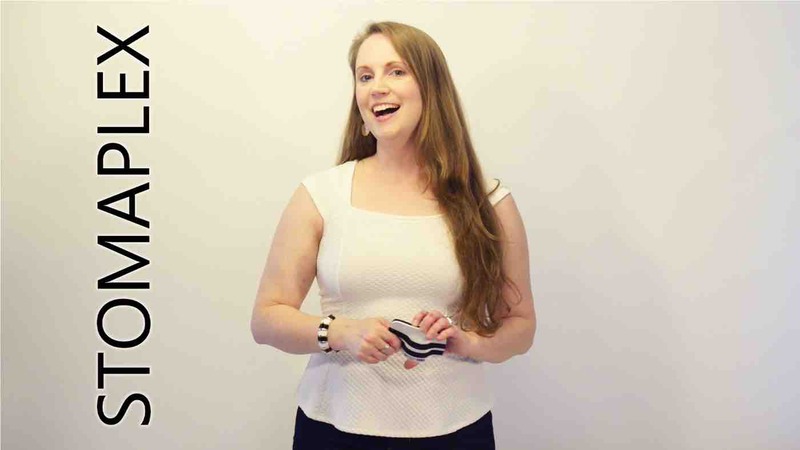 In this parastomal hernia belt review, she explains why she loves the way the Stomaplex belt is hidden under her clothing for a discrete look. 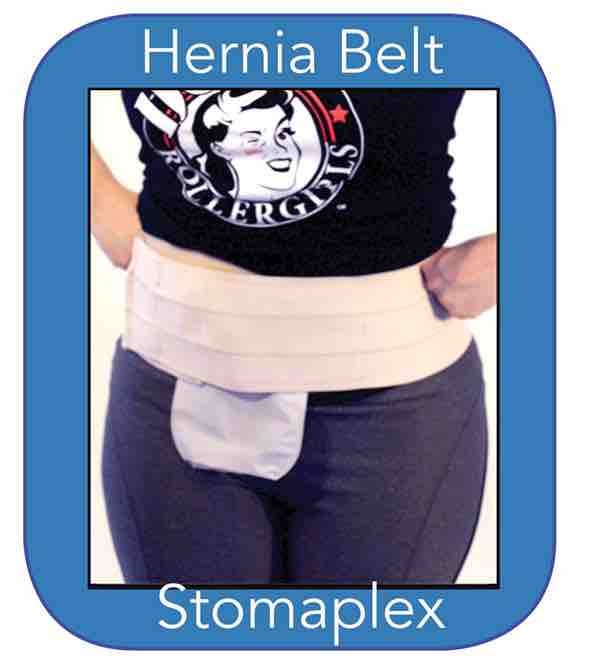 She has a small parastomal hernia and now feel for confident. 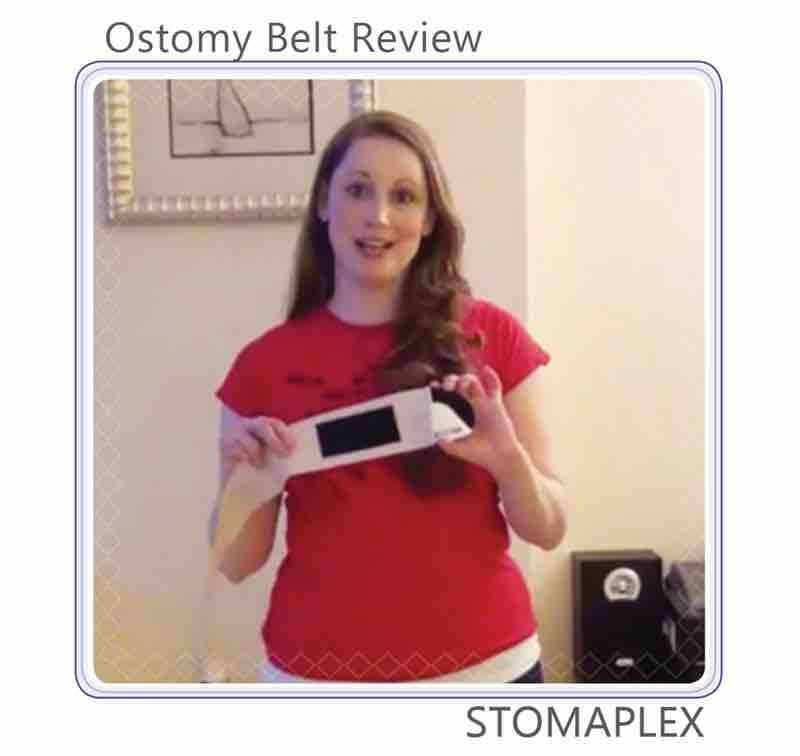 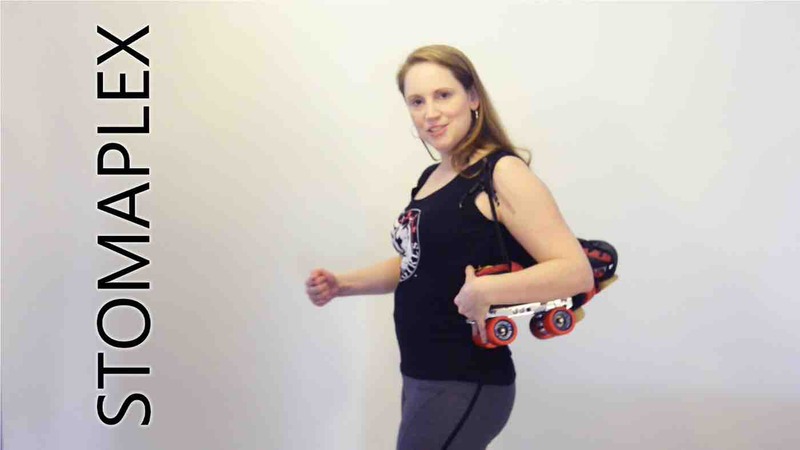 Christy reviews the first version of the Stomaplex belt and Stomaplex guard. 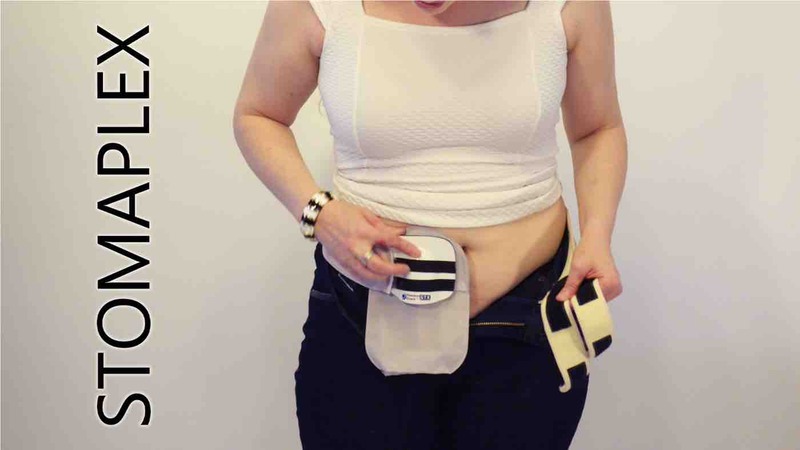 She is able to wrap on the area of her body where the stoma is located and feel completely protected. 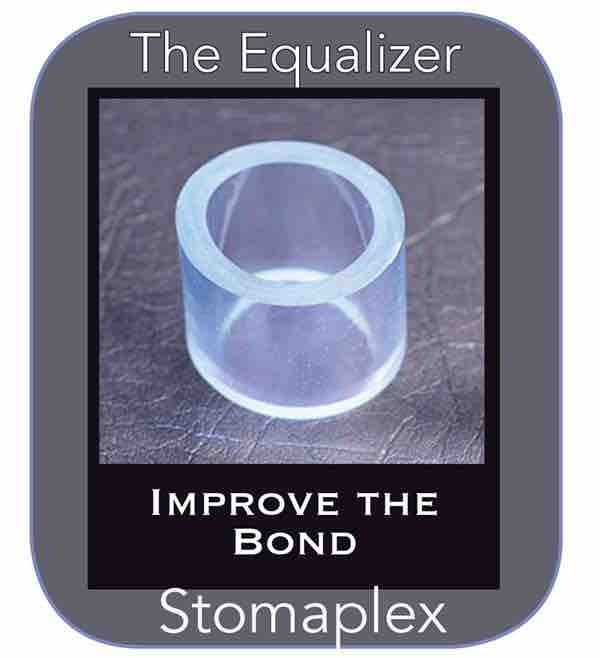 Law enforcement reviews the Stomaplex guard. 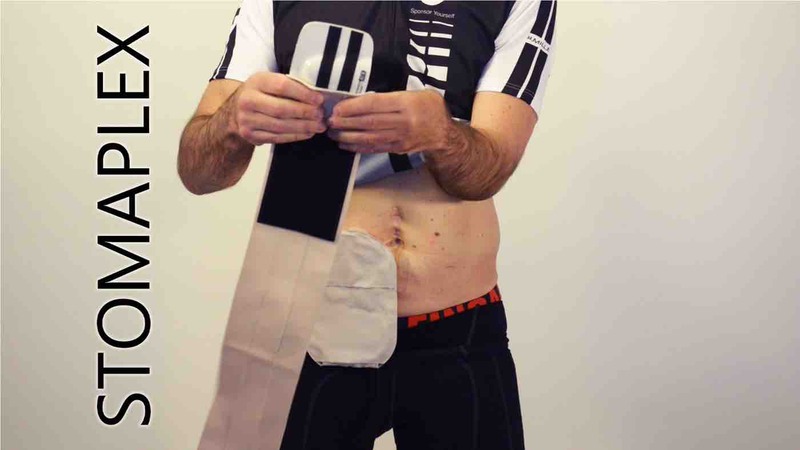 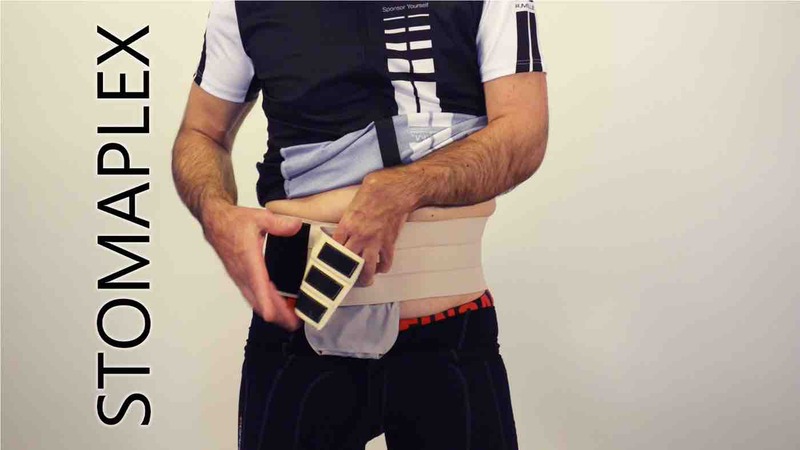 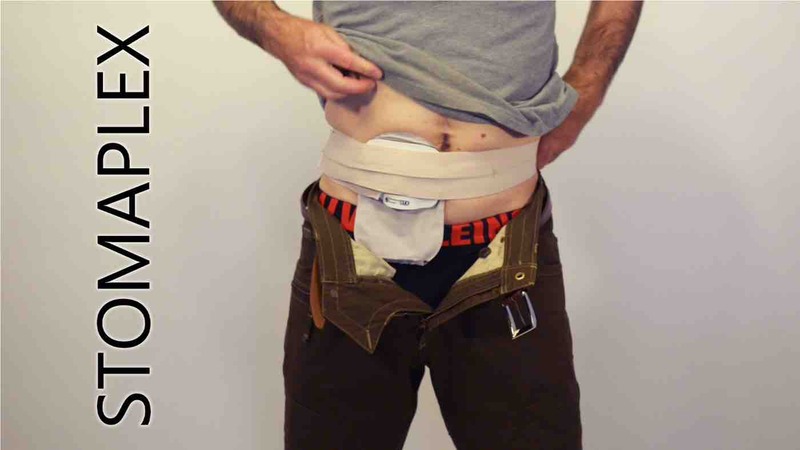 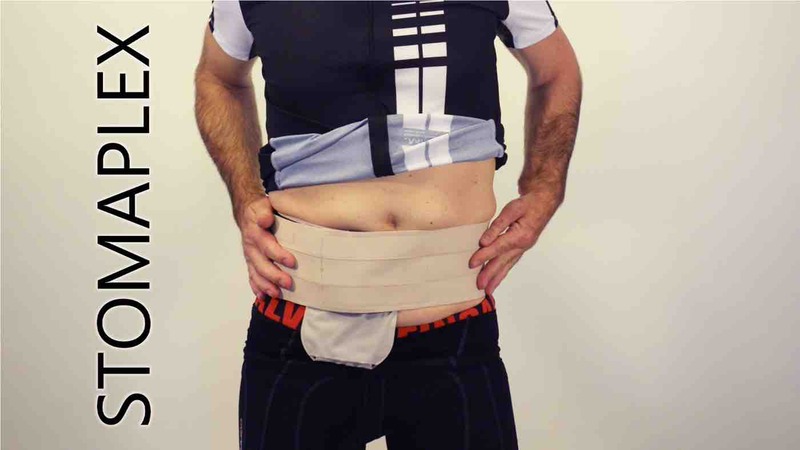 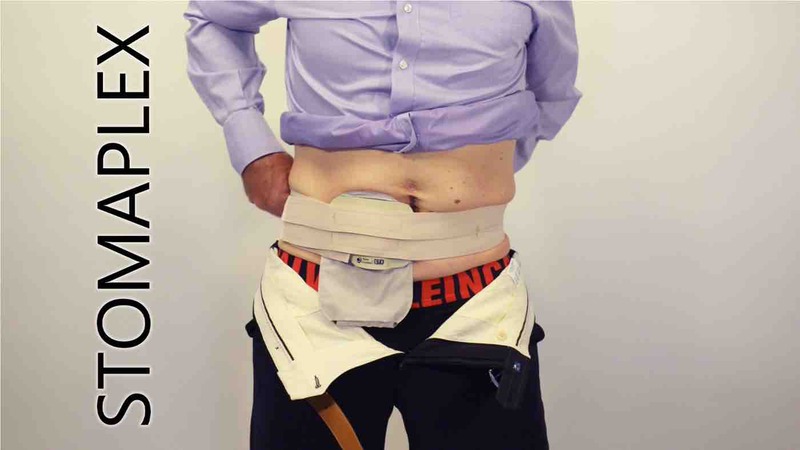 He is wearing the parastomal hernia support belt. 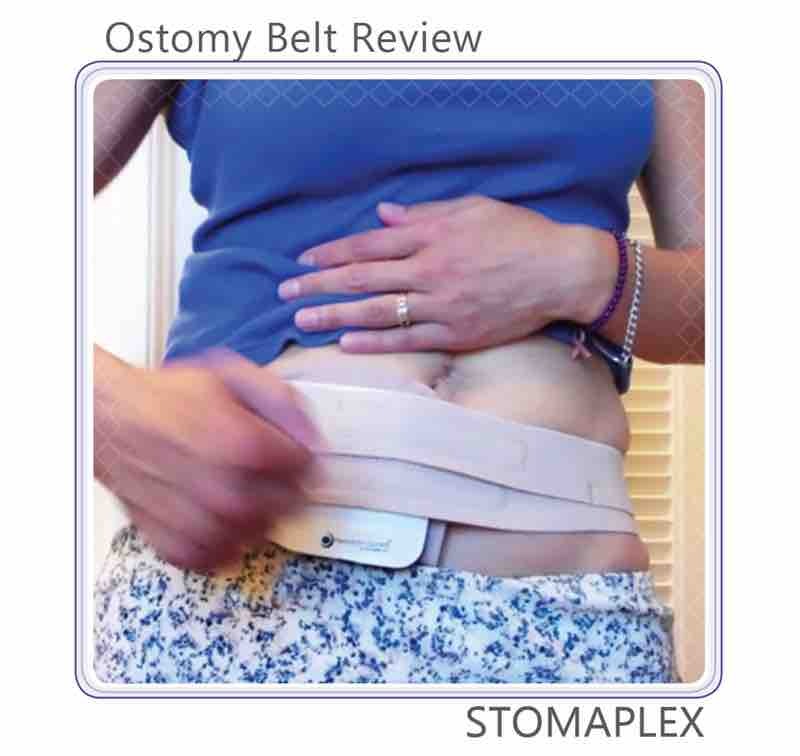 The Stomaplex belt is popular with police officers and fire fighters. 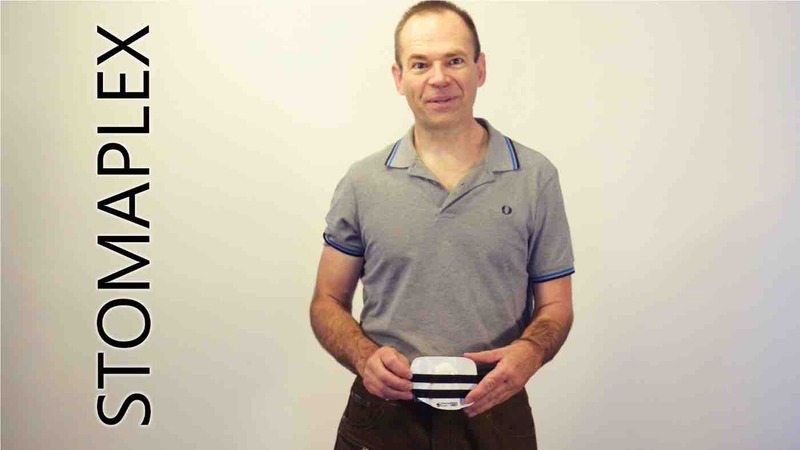 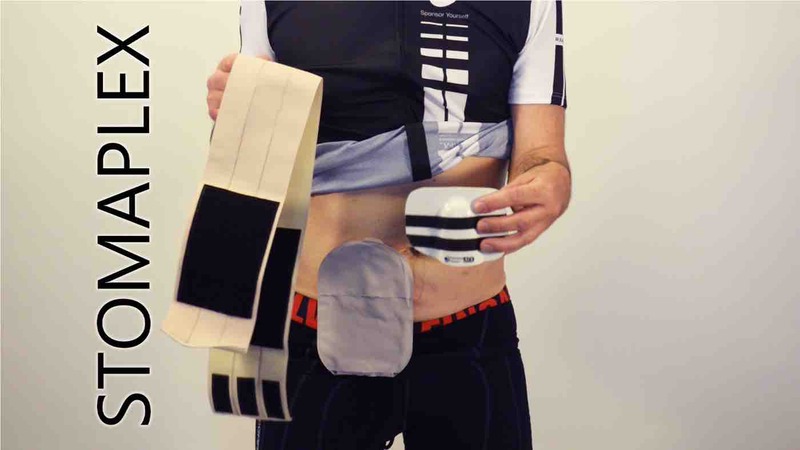 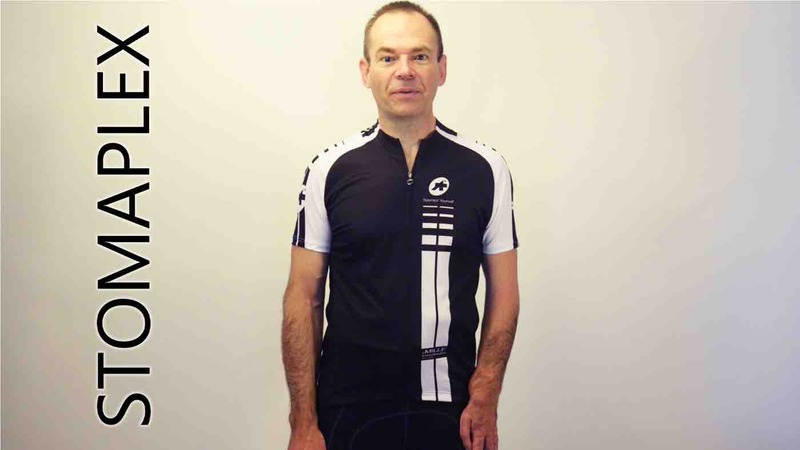 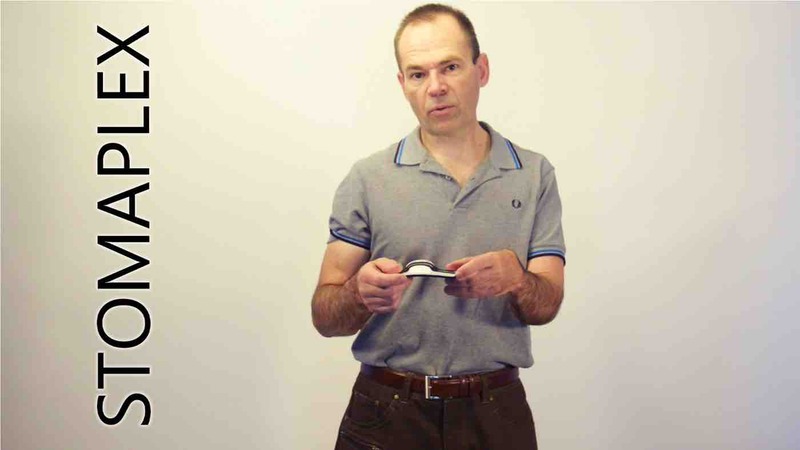 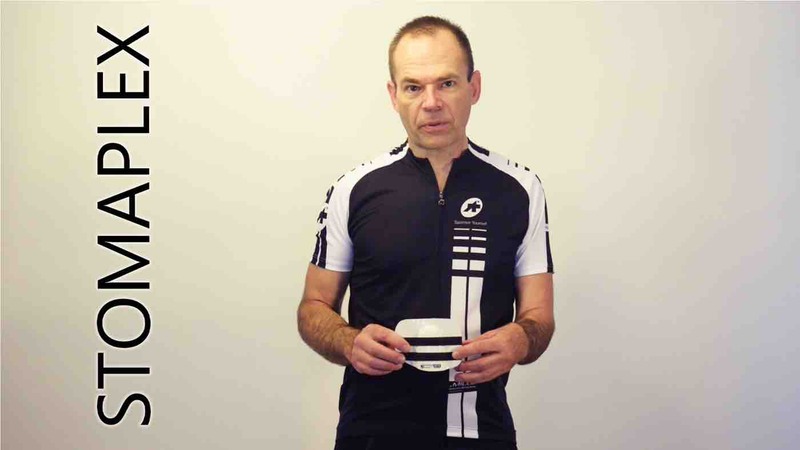 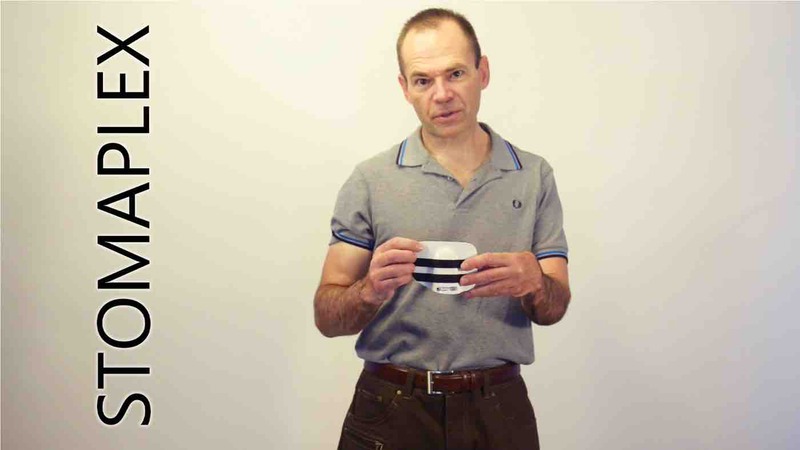 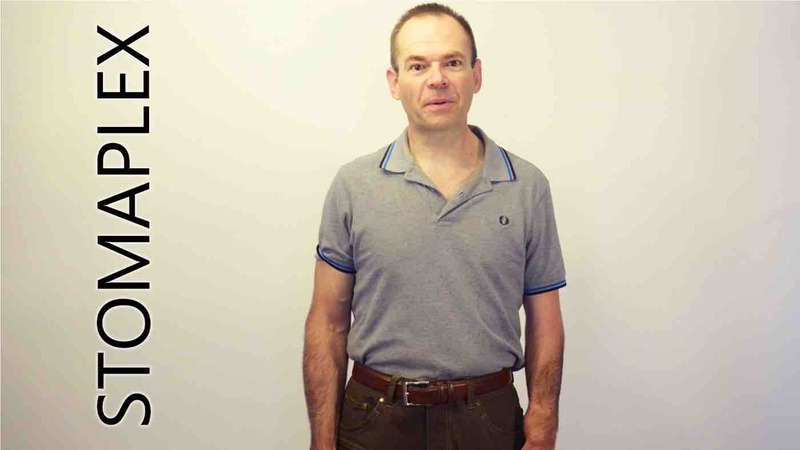 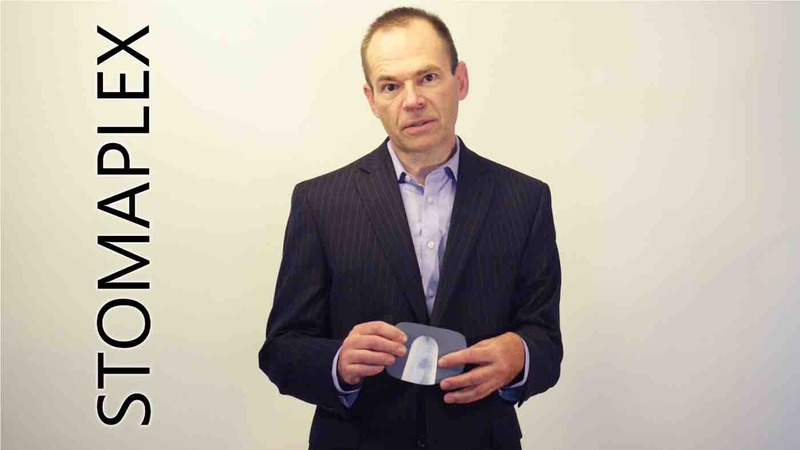 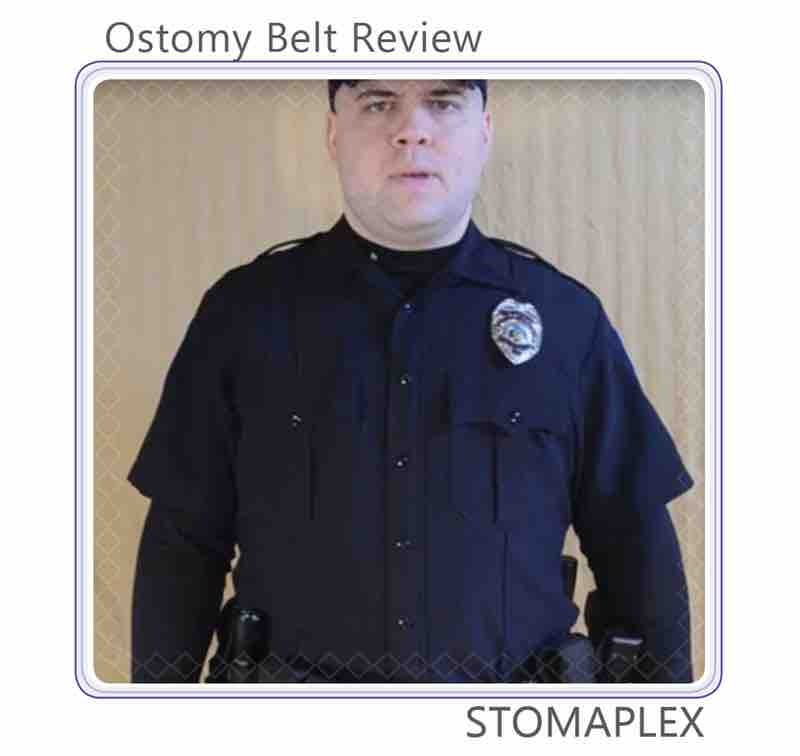 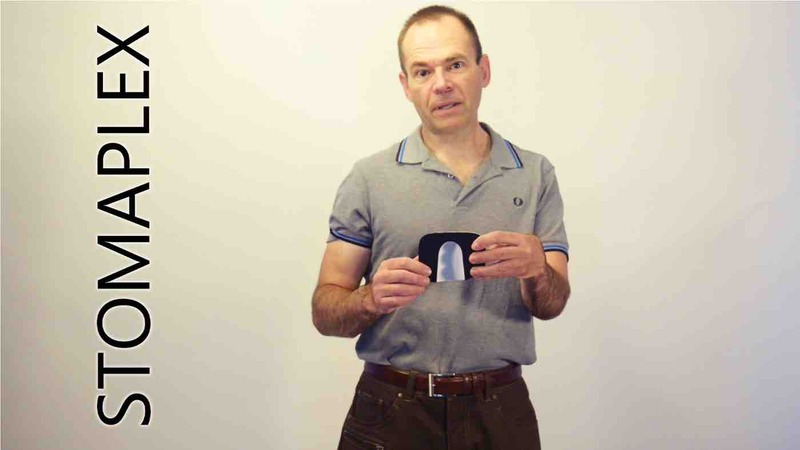 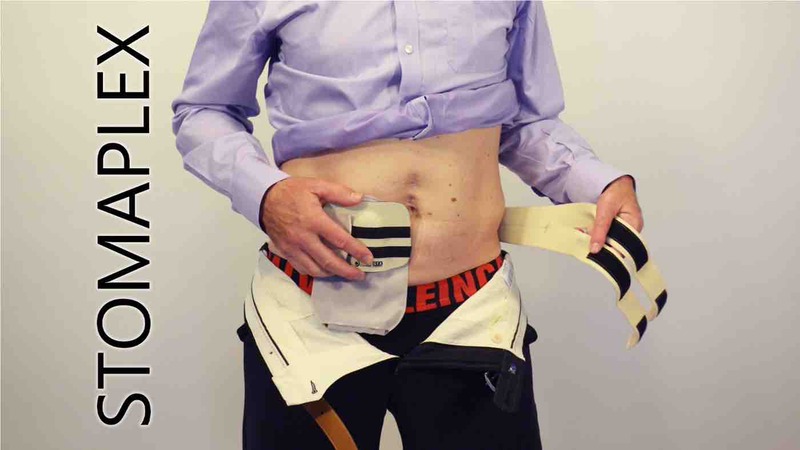 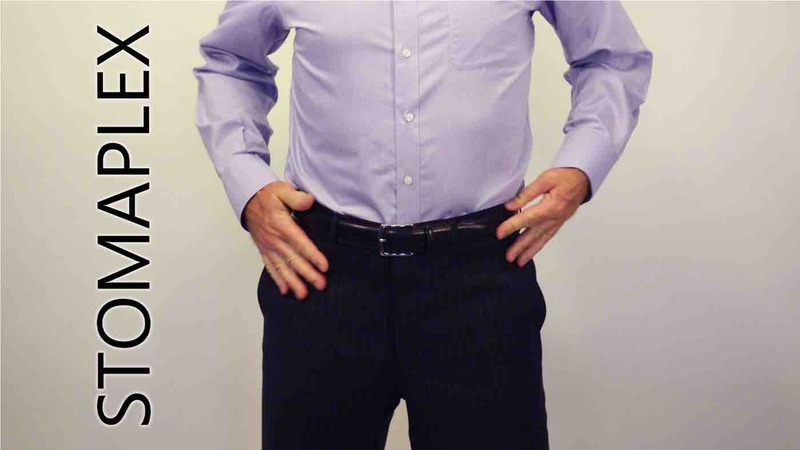 In this stoma protector review, he demonstrates how this Stomaplex belt is worn with his police uniform. 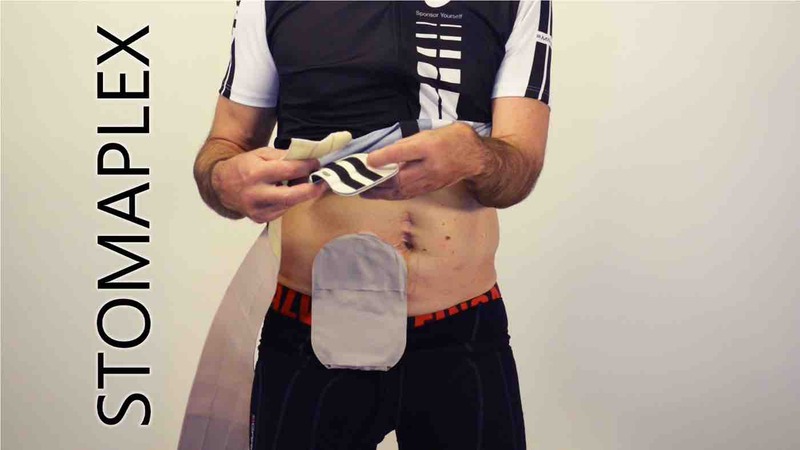 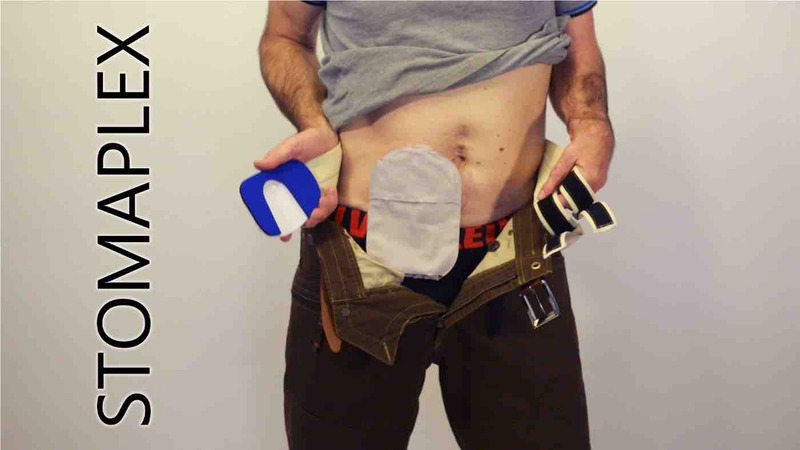 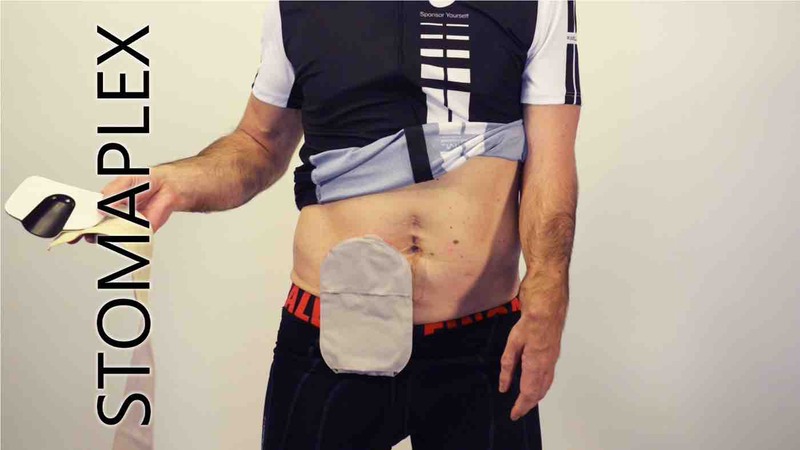 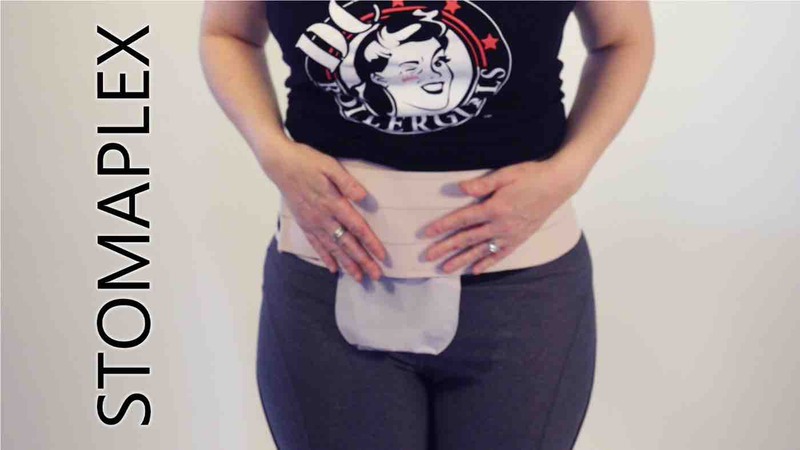 Sometimes it is preferred to wear the ostomy bag horizontally or diagonally. 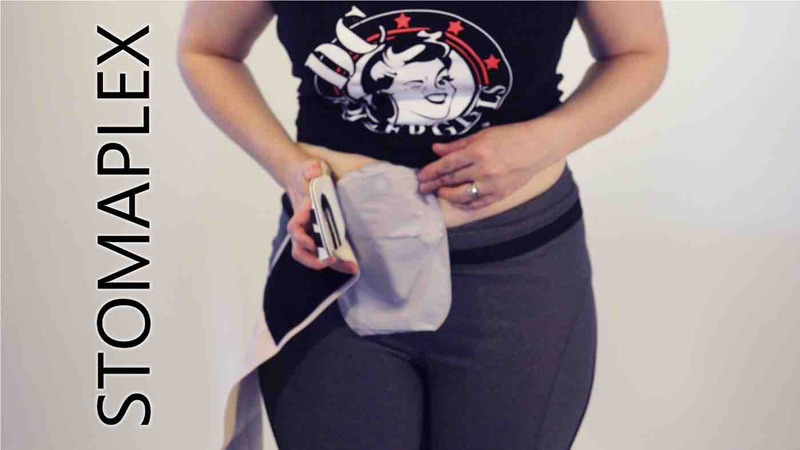 Christy will explain why she find this appropriate for sports and she is also showing the experimental guard for horizontal ostomy bags. 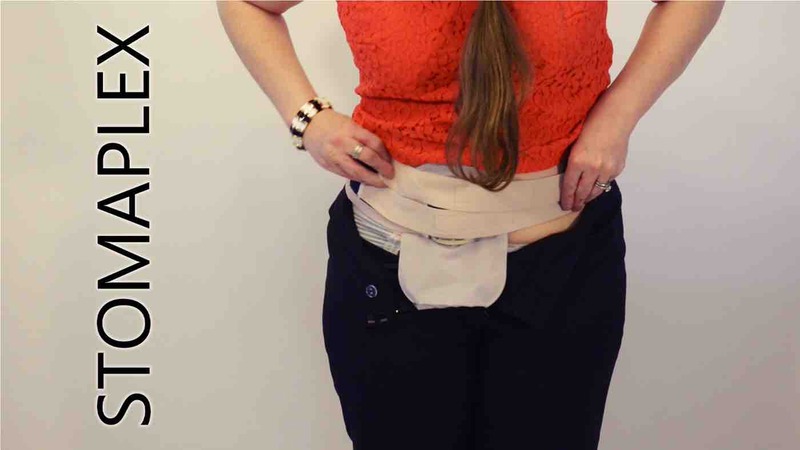 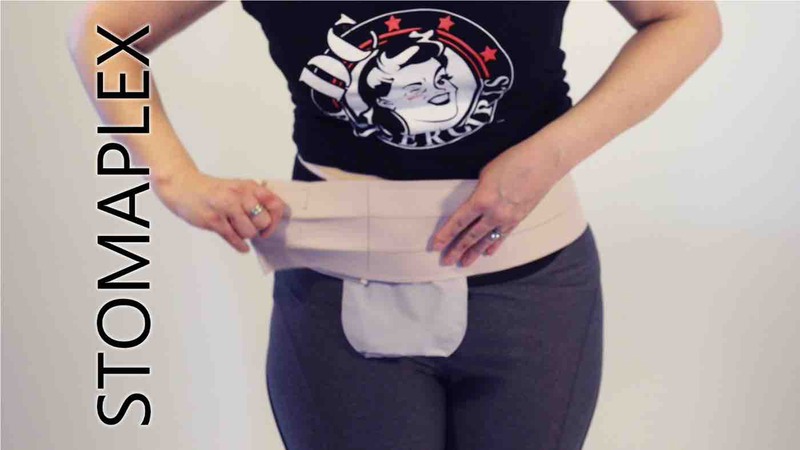 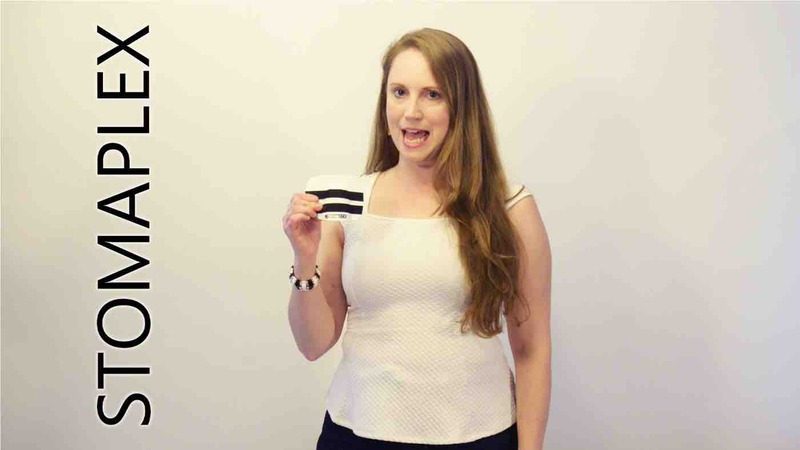 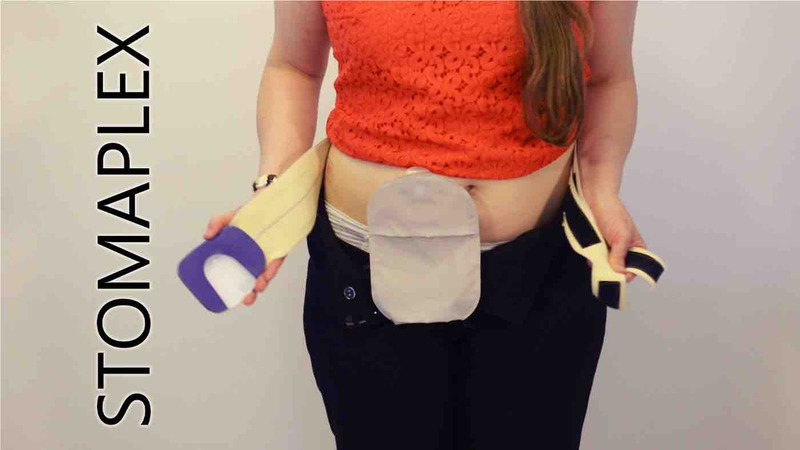 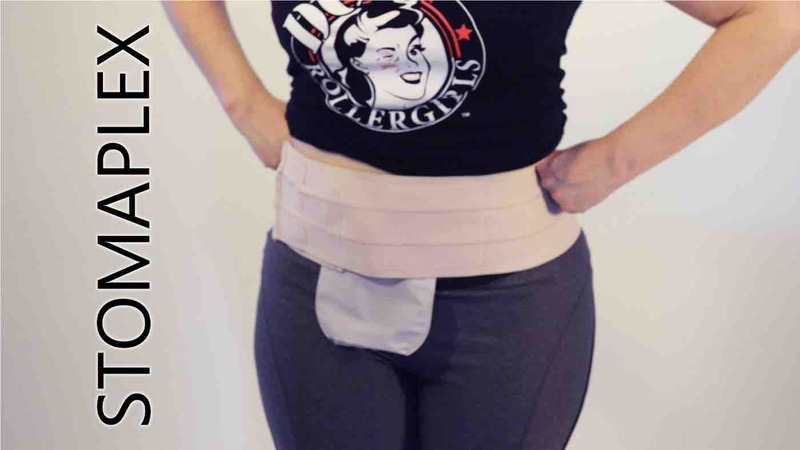 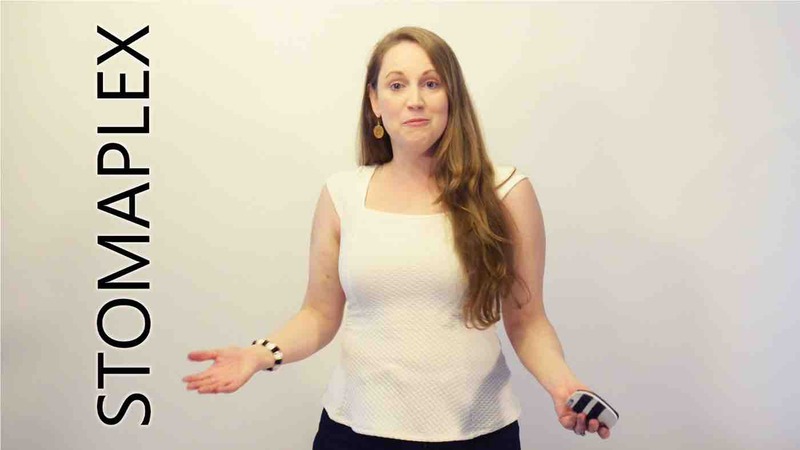 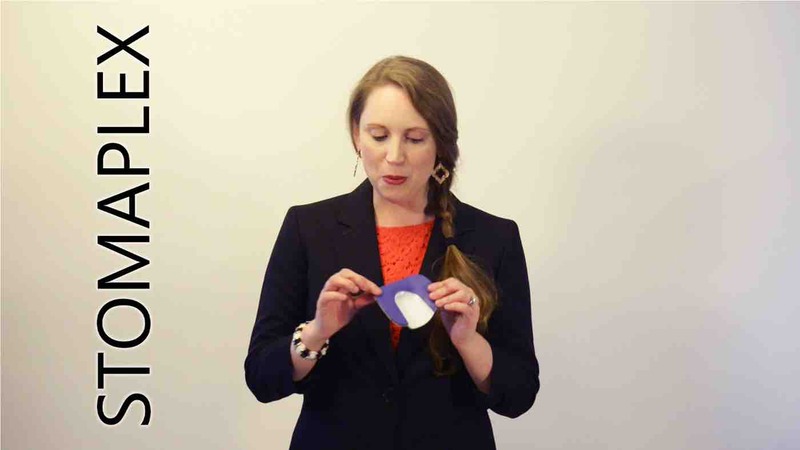 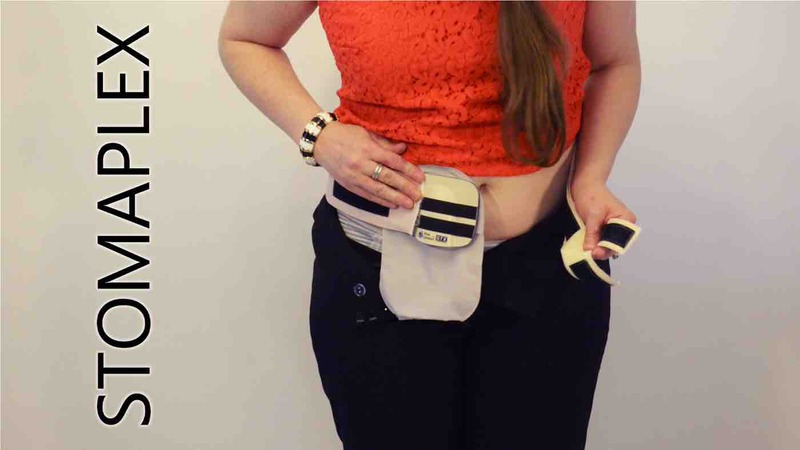 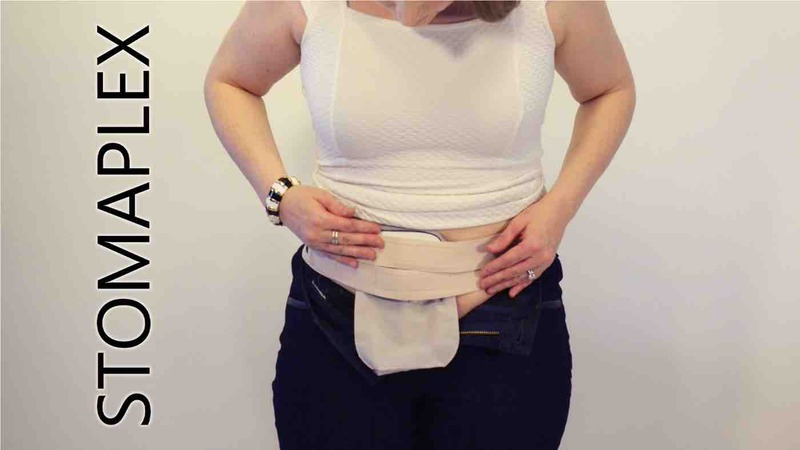 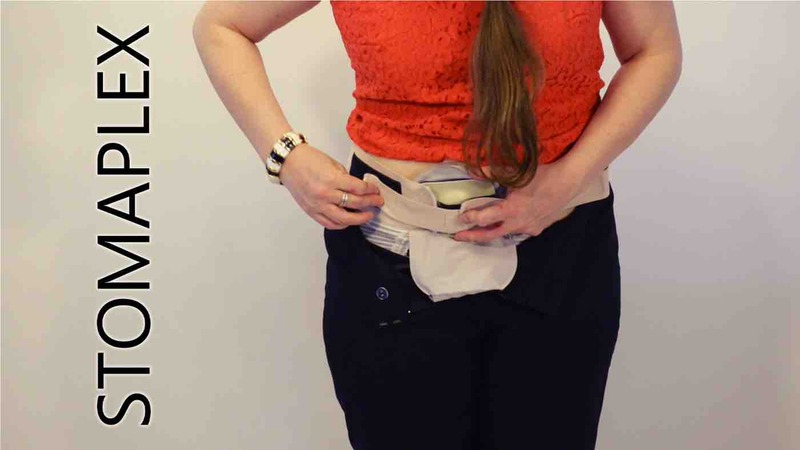 She reviews wearing the ostomy bag horizontally with a Stomaplex guard. 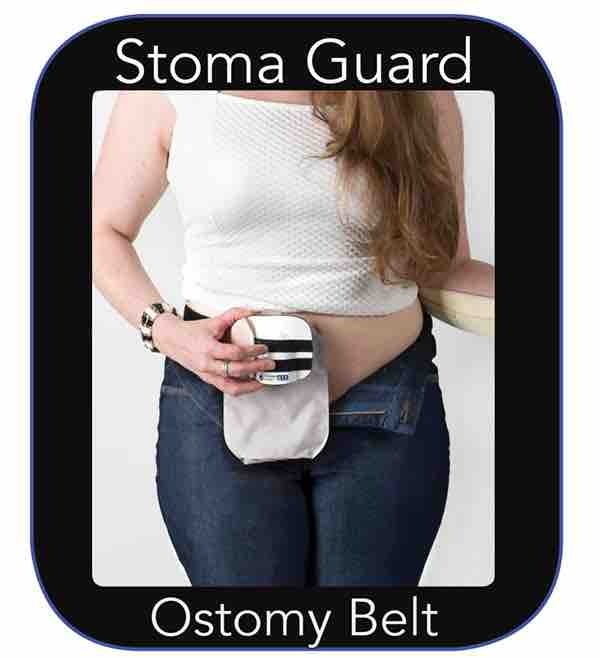 For martial arts with an ostomy, you need to feel protected to prevent injury to the stoma or ostomy. 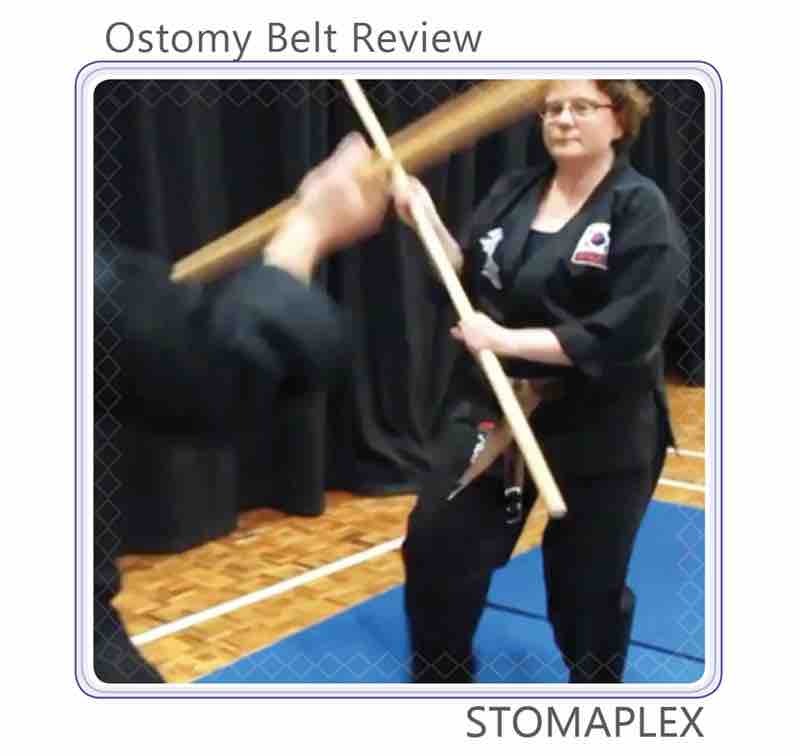 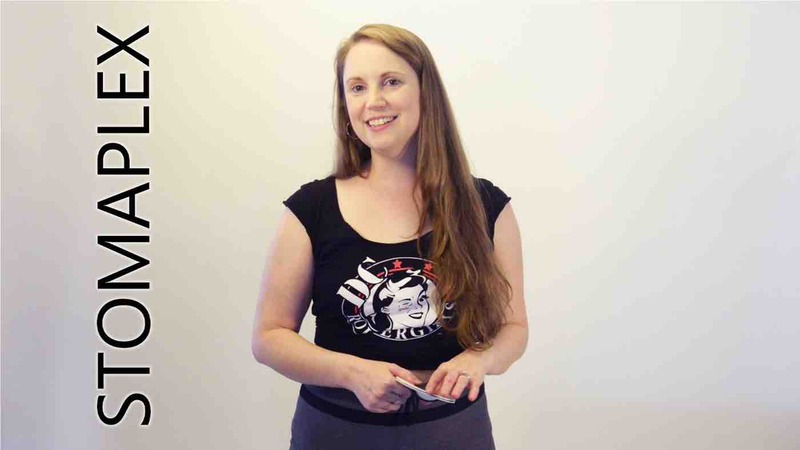 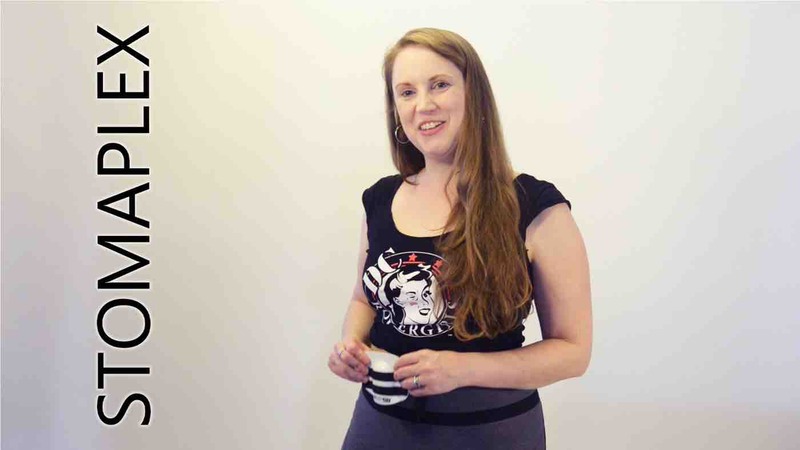 She lives in the U.K. with an ostomy, practices martial arts for health and wears the Stomaplex belt for protection. 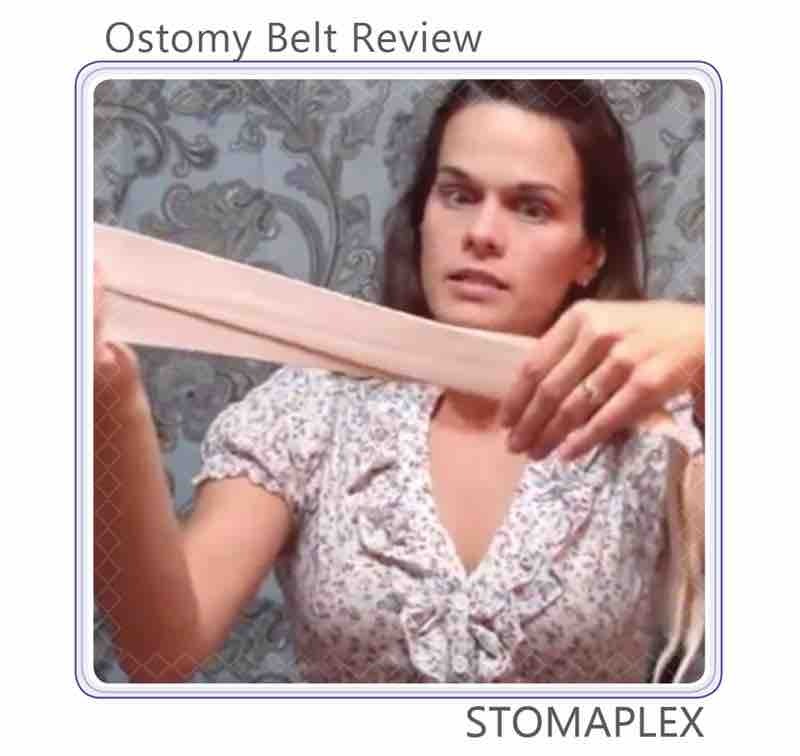 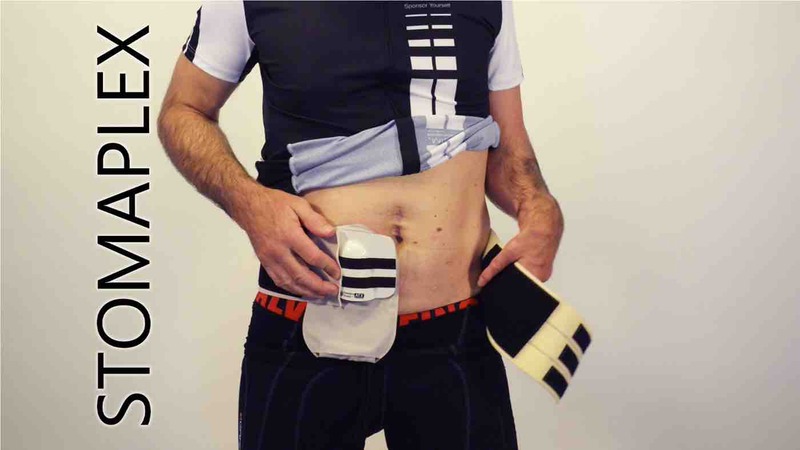 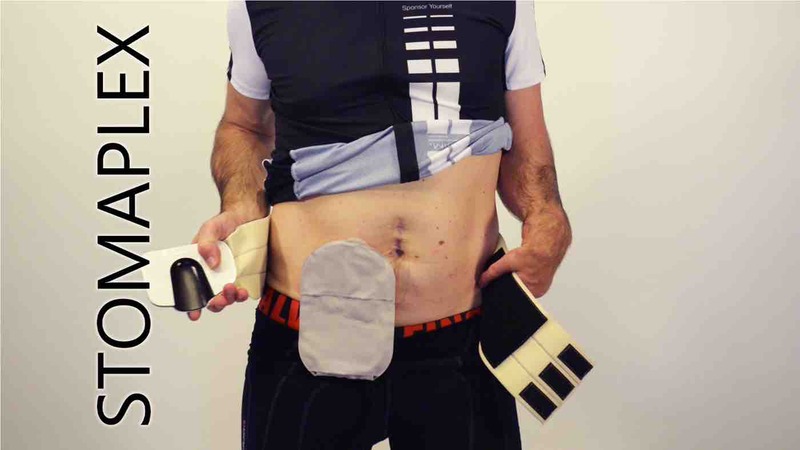 Ostomy belt for sports review.